S’no Joke Ski Club offers year-round social activities organized by club members at a variety of locations throughout the Puget Sound area. Socials range from Friday night mixers to BBQs to sporting events. Happy hours are held at waterfront or vibrant city locations. Some are a happy hour following a sporting event, like bicycling. We attend local theater performances and outdoor concerts, go bowling, and play putt-putt. We arrange game nights, barn dancing, Annual Holiday parties and dine out together. The imagination of our membership is the only “limitation” that exists on where we go and what we do. You can’t help but find something to fit your interests! 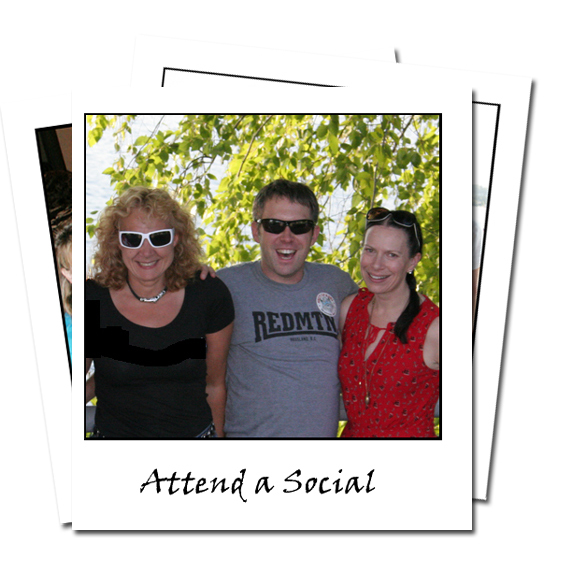 Members - login to see detailed information regarding upcoming socials.